LOWER COST PER PART ISN’T GOING TO GIVE YOU THE COMPETITIVE EDGE YOU NEED IN TODAY’S MANUFACTURING ECONOMY. Wile E. Coyote, the beloved cartoon, has a one track mind: catch the roadrunner. Despite his countless schemes, daily deliveries from Acme Corp. and tedious planning, he always misses his mark. 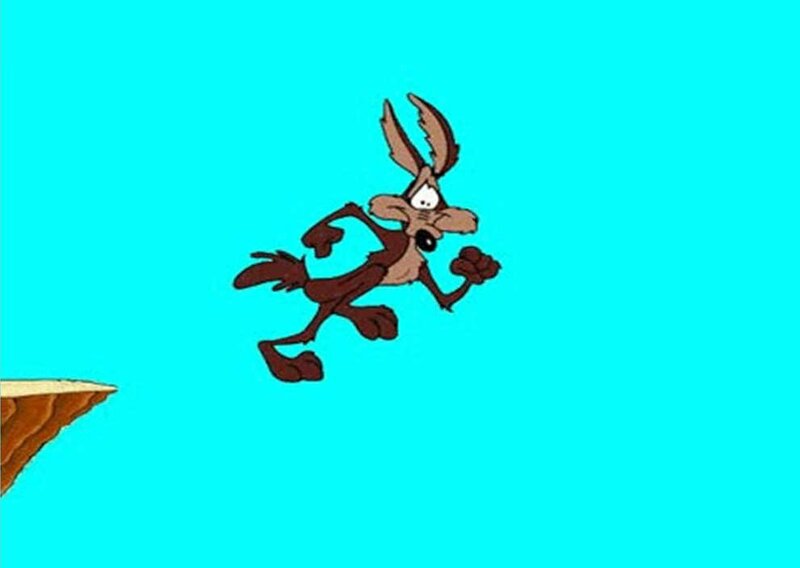 The epitome of his failure is captured when Wile E., hot on the heels of the roadrunner, runs right off of a cliff. Everything seems normal — until he looks down. Then reality and gravity set in. The situation is a fitting analogy for American manufacturing today, in constant pursuit of ever lower cost per part (CPP). Despite continual process enhancements (How many more milliseconds can we shave off of an assembly task?) and equipment upgrades, shops never seem to get the upper hand. American manufacturing as an industry has gone off the cliff but hasn’t yet looked down. Why do the same old business practices persist, even when we never catch our roadrunner? Perhaps it’s simply inertia, the same force that has the coyote floating in mid air. These benefits had a catalyzing effect on the world. Factory production turned the wheels of the global economy and people’s lives improved dramatically as abundant goods of all sorts became available at reasonable costs. The world has changed, as have consumers, and the advantages of the factory system have reached their limit. Despite this, we have continued our pursuit of ever lower cost per part and damaged American industry in the process. Starting with offshoring in the late ‘70s, when companies sought the advantage of cheap labor overseas. This forced domestic suppliers to cut their margins just to stay in the game. Quality suffered and so did the consumer. Now that labor rates are comparable on either side of the ocean and consumers care more about quality, customization and fair labor practices, American manufacturing faces a crisis. Is the only choice to fall? It is if you choose to keep chasing the roadrunner. The differences between 20th and 21st century markets show us why it would be futile to continue chasing a lower cost per part. 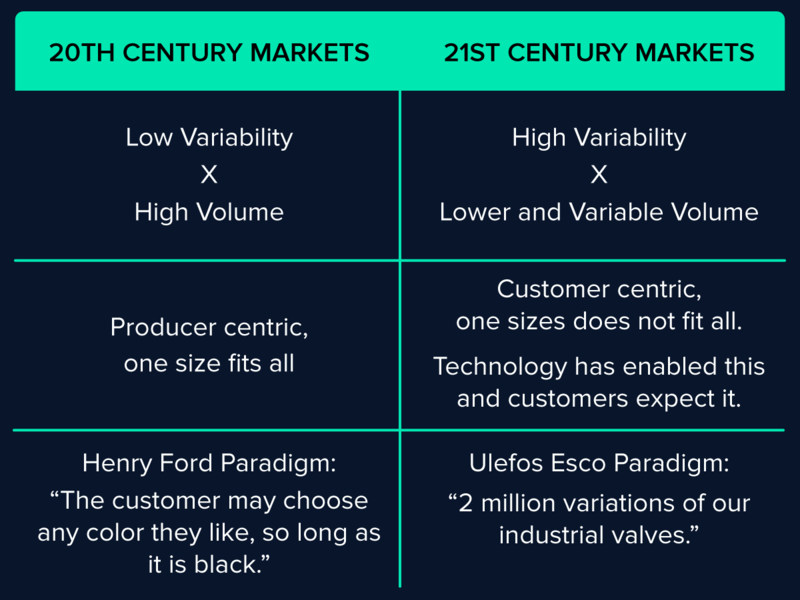 21st century markets are defined by choice and enabled by technology. The number of car models available now compared to when Henry Ford’s Model A, in one color, was the extent of a customer’s choice is a vivid example. Consumers today are well-informed, they expect options and they want things instantly. This change from low product mix, high production volume, to high product mix, variable production volume, combined with normalizing labor rates and widely accessible technology in the shop, all mean that advantages in production costs are harder to find. Manufacturers must reconfigure their approach to the market not just to be competitive, but to stay relevant. 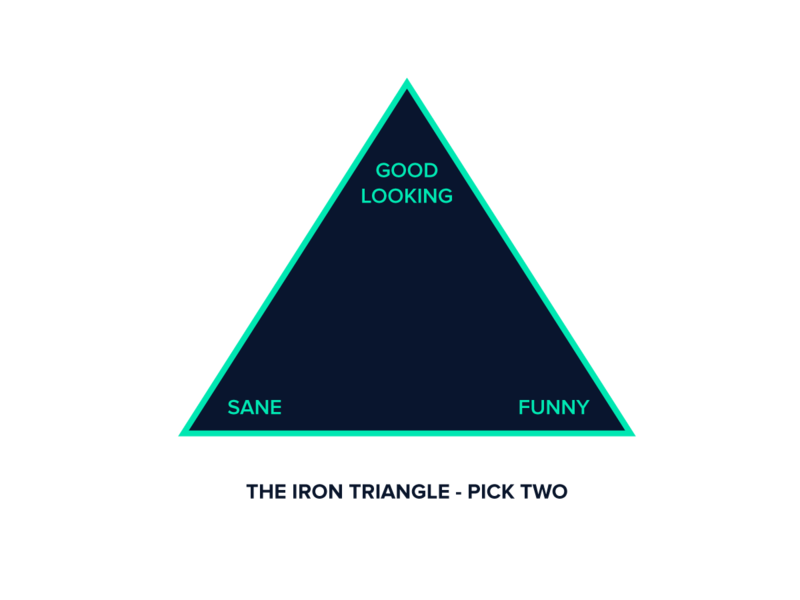 Of the three, QUALITY is the least negotiable, it is picked as a given. COST was the source of competitive advantage in 20th Century Markets, as has been described. The area of competitive advantage in the 21st century is TIME. This begs the question, won’t costs go up? Only if you’re looking at production costs in a vacuum. Focusing on time has a greater financial impact across an organization. Production costs are only 20-25% of the total cost of a manufactured good. Administration, planning, forecasting, warehousing, obsolescence and the like can be 4 to 5 times the cost of production. 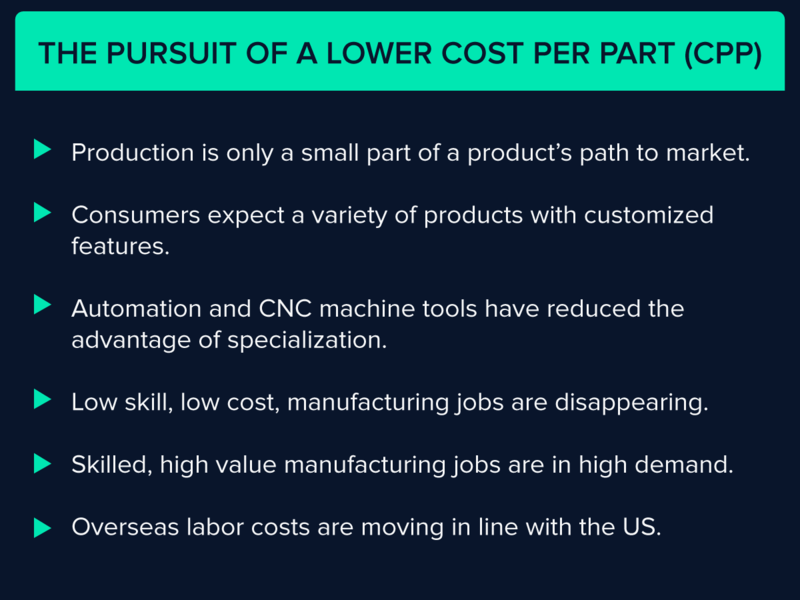 Shrinking these costs is a much bigger opportunity than reducing production labor — in a typical U.S. company, direct labor accounts for less than 7% of the final price of a product. A focus on time means taking into account the variable production volumes and high customization that is characteristic of 21st century markets. It facilitates a leaner operating model by reducing material, work-in-progress and finished inventory expenses. It will create tighter quality feedback loops, enhance relationships between manufacturers and their customers and most importantly, shorten time to market. Time isn’t just money, it’s a value that can be measured. 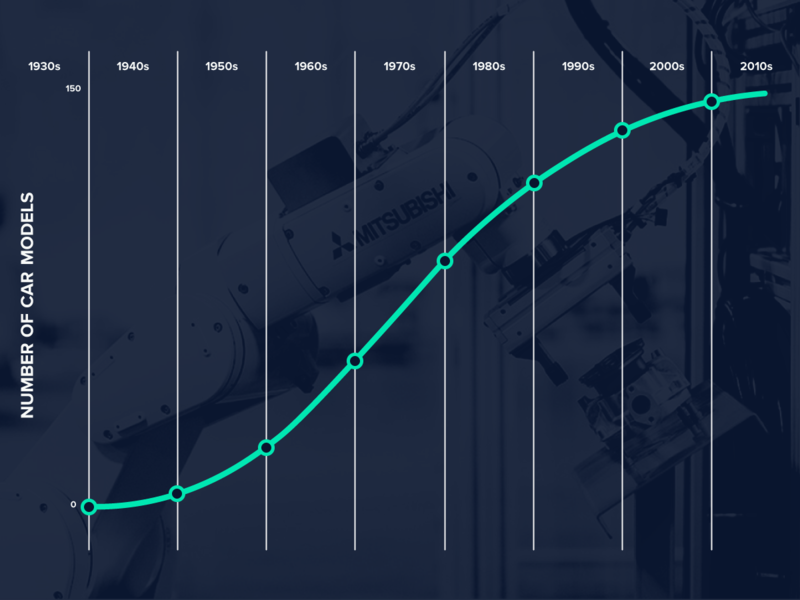 With machine time front and center, we are developing a reliable standard for manufacturing transactions: the time required to make something. 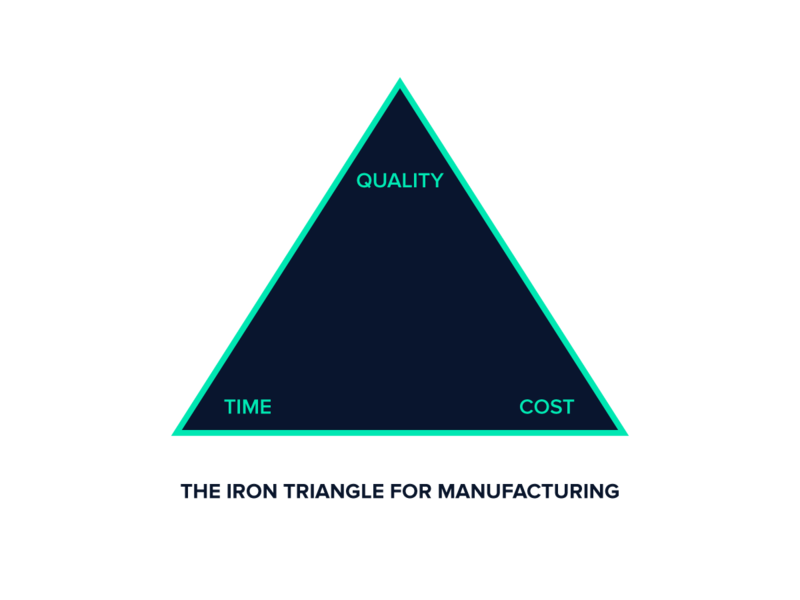 MakeTime allows both purchasers and suppliers the ability to shift their focus from cost-based thinking to time-based thinking, all the while guaranteeing quality. The next installment of this blog will elaborate on time (rather than lower cost per part) as a source of competitive advantage, and how both purchasers and suppliers of time can use the MakeTime platform to address 21st Century markets effectively.